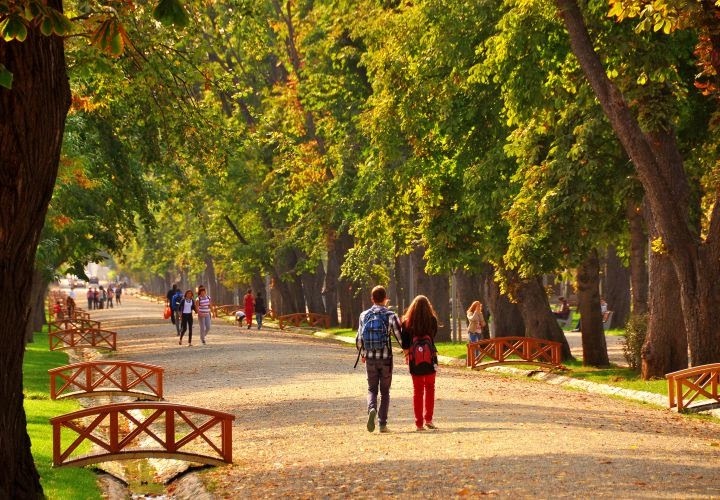 Cluj-Napoca has a wonderful park located in the center. Shrouded by the leafy branches of rich trees and flowering shrubs, it is a truly bucolic setting. Coming in from the center, you’ll be surprised at how little noise there is here. You can no longer hear the screeching of tires on the asphalt and the car horns are now a distant memory. The hustle and bustle of the city is kept out on this secluded island. It is called The “Simion Barnutiu” Central Park, but it is also known among the locals as “The Big Park”. 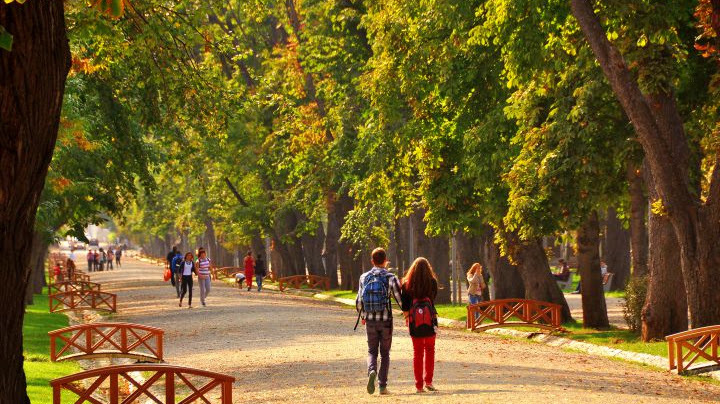 Covering a surface of 13 acres, it is the largest park in Cluj-Napoca and one of the most popular locations for people during the summer. There is a very truly feeling you get on a summer evening as you are nearing the park. The way leading up to it is scattered with fragrant flowers. The smell they spread is almost unearthly; it takes you back to a long forgotten moment. As you come up to the entrance, you are awakened from your reverie by a child running into the street. But your panic is washed away quickly. There was really no danger. No cars are in the street. People hang on the edge; children run to the water to feed the ducks. The adults come along, to take pictures. It feels like this summer night could last forever: like it could be frozen and elongated; stretched to span days.